Who Is Care Right There Home Healthcare LLC? Care Right There is a family owned business incorporated in New Jersey with it’s corporate office in Glassboro, NJ. We serve the Southern New Jersey area focusing on Companionship Care, Personal Care, and Home Healthcare Services. Our Glassboro office currently services Gloucester, Camden, Burlington, Atlantic and Salem counties as well as the surrounding areas. Customer Service is Our #1 Policy! We believe our clients and families turn to Care Right There Home Healthcare, LLC because of our wholehearted commitment to providing home care with compassion, excellence, and reliability while keeping customer service our #1 policy. Care Right There Home Healthcare is a member of The Gloucester County Chamber of Commerce and a dedicated member of the communities we serve. We help all age groups – from young adults to end of life care. From temporary to permanent home care, our services are offered to anyone that needs help through difficult times. We do this without regard to social status or ability to pay. Our aim is to make our clients feel as though they are a part of our family… valued, protected and connected. We provide our clients and their families with the support they need in order to remain independent in their own home for as long as possible. We are consistent with our mission to improve our clients quality of life through constant communication with our team members and caregivers. All of our staff members & caregivers are dedicated & passionate about creating a difference in the home healthcare industry. Marisa has spent the past 16 years working for Fortune 500 Healthcare Manufacturing and Software companies to help improve processes, technology, drive change and help find innovative ways to make life easier for her customers. In this industry, it is very common to learn how someone’s loss propelled them into action to achieve a dream. Losing her mother in 2010 to Leukemia had a huge impact.Marisa watched as her mother suffered until the day she passed in the hospital. This was against her mothers wishes — She wanted to be home. Marisa also watched her home-bound grandmother struggle to find a way to stay connected to her family as well as the outside world with so many caught up in their busy lives. Between her own experiences and those that shared similar experiences, Marisa began to have a deep desire to do something more and find a way to assist those that had the same needs. Marisa saw the perfect opportunity to provide a white glove service to those in need. It is extremely important to her that when family can not be around, Care Right There Home Healthcare becomes the family’s extension. Marisa is passionate about learning how to better service the home-bound and disabled. It’s important for her to understand what operational or technological advancements can be made to better the lives of others with the company’s involvement. Marisa is responsible for daily operations of Care Right There as well as forming partnerships, leading sales and marketing efforts. 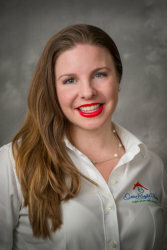 Together with her husband and life partner, Jamie Betancourt, R.N., they formed Care Right There Home Healthcare and plan to take it to unmatched heights of service and reliability in the years to come. Jamie has worked in patient care for the past 11 years and in healthcare for 20 years. He is a licensed R.N. in the state of NJ, PA and DE. Jamie’s knowledge spans through medical transportation, emergency care and patient care. Jamie is known for his leadership in C.H.O.P.’s Emergency Department. is a trusted employee and an advocate for the defenseless. Jamie is a committed family man and father of 5, whom has a very special relationship with adoration towards his grandmother. He brings into the business his years of experience in the healthcare industry. His sensitivity, dedication adds a natural ability to understand the condition of others. Jamie’s responsibilities include Administration to Care Right There Caregiver Team and also personally assesses our clients. 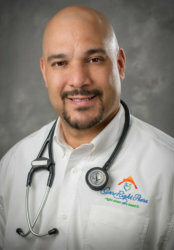 He has teamed up with his wife and life partner, Marisa to bring their passion and expert care to South Jersey where he has seen a growing need to service those that would rather stay in their home to receive heathcare. Marion Trindle graduated from George Mason University with a BS in Nursing. She worked at Arlington Hospital in Virginia on the Med/Surg floor. When she moved to New Jersey she started working in home healthcare and has stayed in the industry for 30 years. She has experience with post surgical care, wound care and disease management in adults and in Pediatrics. Our Caregivers are committed, highly qualified, carefully selected individuals who are thoroughly screened and properly insured for care. Most importantly, our caregivers are dependable and extremely passionate about their profession. We do not work with independent contractors; our caregivers are our employees. This means that Care Right There takes on that liability for you so that you can focus on your loved one or your own personal needs. We are an equal opportunity provider and employer. Care Right There does not discriminate on any prospective employee or client on the basis of gender, color, race, origin, ethnicity, orientation or creed. No matter who you are or where you come from, as long as you are eligible for home health care, we are here for you. Our staff is composed of Companion/Homemakers, NJ State Certified Homemaker Home Healthcare Aides, Certified Nursing Assistants, Licensed Practical Nurses and Registered Nurses. We are currently serving Gloucester, Camden, Burlington, Atlantic and Salem Counties in NJ including surrounding areas.